One of the biggest myths is that there is no point investing in RRSPs as all the savings are paid back in taxes when someone retires. 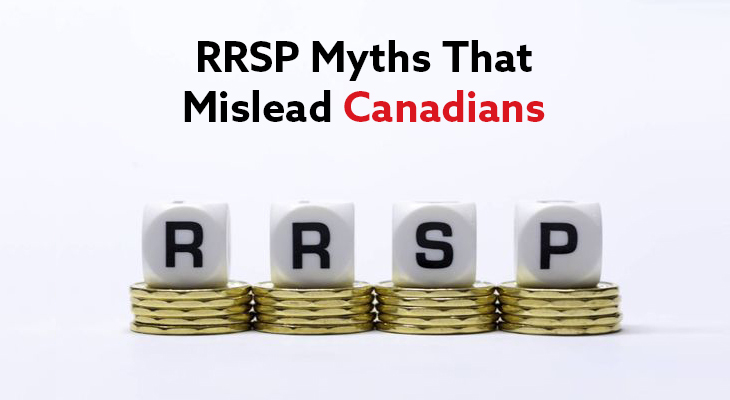 This popular belief is not accurate, although people have to pay tax on RRSP withdrawals. One important factor to consider here is that you also get a tax deduction upon contribution. RRSPs provide a complete tax-free rate of return on your net contribution if there is no difference in the tax rate effective in the year of contribution and in the year of withdrawal. If the tax rate is lower in the year of withdrawal, you are likely to get an even better return on your investment. Even if the tax rate is higher in the year of withdrawal, it is still more profitable to have an RRSP than non-registered investments. Therefore, discard the idea that all of your savings will be paid back in taxes when you retire. It is also a myth when people say that it is better to invest in a TFSA than in an RRSP. They think that TFSAs are more effective tax saving vehicles because they are tax-free. If you invest after-tax income of $2,000 in a TFSA, you would be able to withdraw $2,100 without tax after one year at 5% which is equivalent to what you will get out of an RRSP. However, RRSP is usually a better option than a TFSA if you are likely to have a lower tax rate in retirement. People often say that they don’t have enough money to invest in an RRSP. In fact, you don’t need significant sums of money to make an investment. Small contributions on a regular basis can make a big difference. For example, if you start investing $100 each month in an RRSP from age 25 to 60 with an average rate of return of 5%, After 35 years, you will be having around $114,000 in your RRSP that you can use to spend on a happy retirement. Consult a competent financial planner to discuss investment opportunities or where you should invest in order to have a financially stable retirement. Kewcorp Financial is a team of highly experienced financial planners in Edmonton. You can reach us to learn more about the investment opportunities ideal for your financial situation. Whether you want to invest in an RRSP or somewhere else, we will analyze your financial circumstances and suggest the best possible options for you. Visit our site for more information!